We’re proud of our teachers. They work hard. They have fun. They care. They invest their time, their wisdom, and their lives into our students. They do more than they’re asked to do and give more than they’re asked to give. Nowhere is this more true than with our beloved 5th grade teacher, Susanne Horn. It’s the way she engages with her students. It’s the way she makes her classroom a chance to shape their minds and their character. It’s the way she points them to the God who has been more than enough for her in even the most difficult seasons of life. It’s the way she uses everyday situations that 5th graders encounter - like someone stealing food out of someone’s lunchbox - and turns it into a chance to show grace, extend mercy, teach forgiveness, give accountability, and build character. It’s the way she teaches, trains, mentors, and coaches her students. 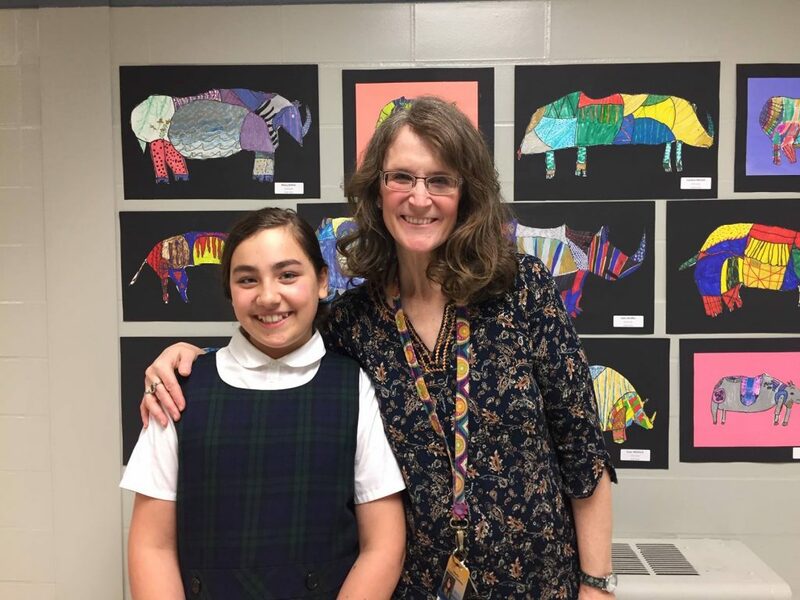 What we have seen in the ten years that Mrs. Horn has been pouring into lives at Liberty Classical is that teaching is simply an extension of the way she lives her life. Thank you Peyton, for speaking up and honoring Mrs. Horn. By doing what you did, you’ve helped our whole school, and our whole community, recognize an incredible teacher who’s doing incredible things! People need good news. We live in a world where we’re so quick to criticize and speak only about what’s going wrong. But by nominating Mrs. Horn the way you did, and speaking so eloquently and boldly about the amazing things she’s doing, you’ve helped each one of us. You gave us all something good to talk about. We pray that you always keep that spark in you that speaks words of life and messages of hope in a world in desperate need of it. And thank you, Mrs. Horn, for giving selflessly to our kids, for building their character while you also grade their assignments, and for showing them how to lean hard on God. Our school - and our families - are enriched because of the work you do here at Liberty Classical Academy.